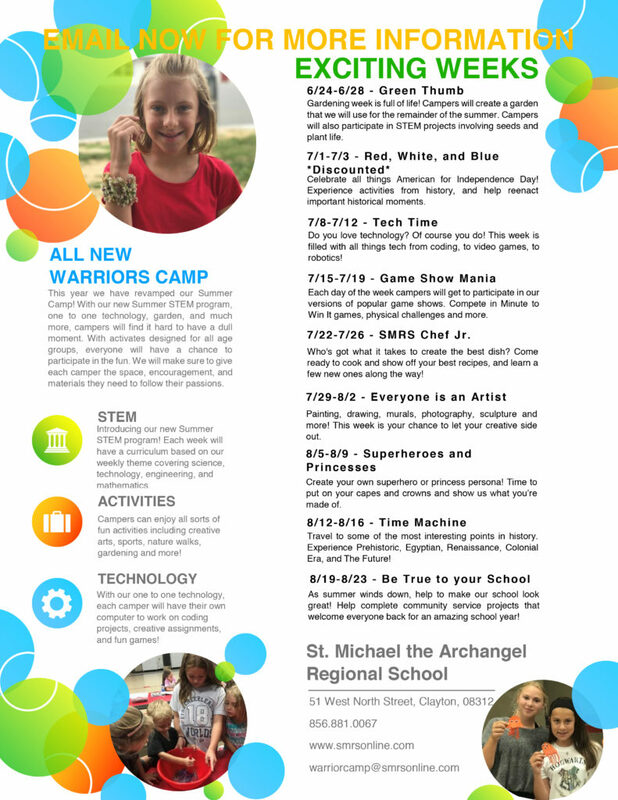 The Saint Michael the Archangel Regional School offers a fun-filled summer camp experience for kids grades PreK-3 to Eighth Grade. This year we have revamped our Summer Camp! With our new Summer STEM program, one to one technology, garden, and much more, campers will find it hard to have a dull moment. With activities designed for all age groups, everyone will have a chance to participate in the fun. We will make sure to give each camper the space, encouragement, and materials they need to follow their passions.